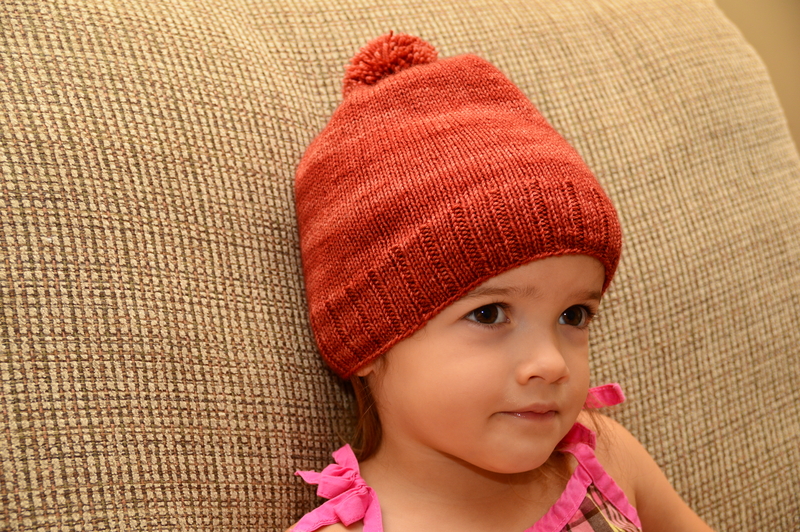 I completed the finishing touches on Eva’s Winter Hat this morning! I managed to make that pom pom with two toddlers climbing on me. Huzzah! Eva seems to like her new hat. She took it from my immediately and started wearing it. She’s kind of obsessed with the pom pom. 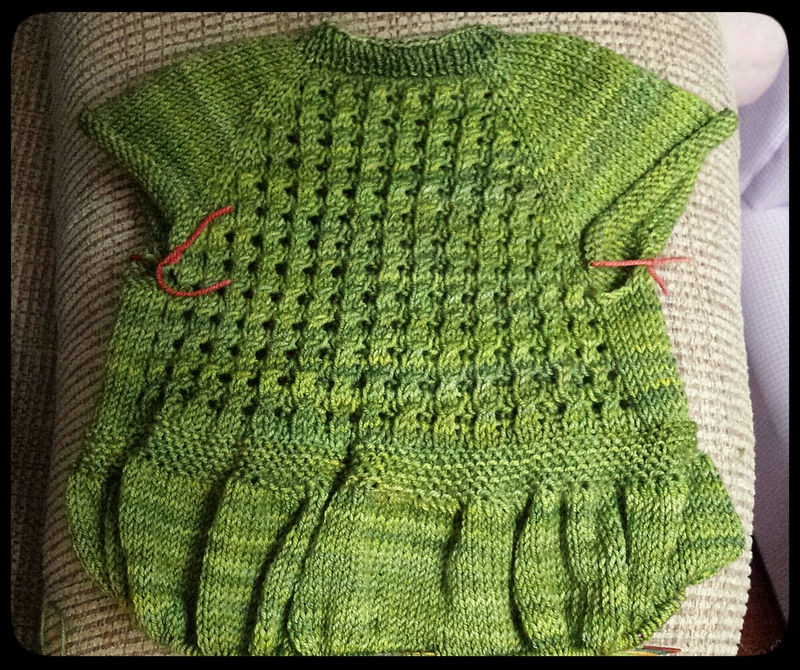 I used the same yarn as I did for Kirsi’s Christmas Dress (Malabrigo Sock in “Boticelli”) and 3.25mm needles. 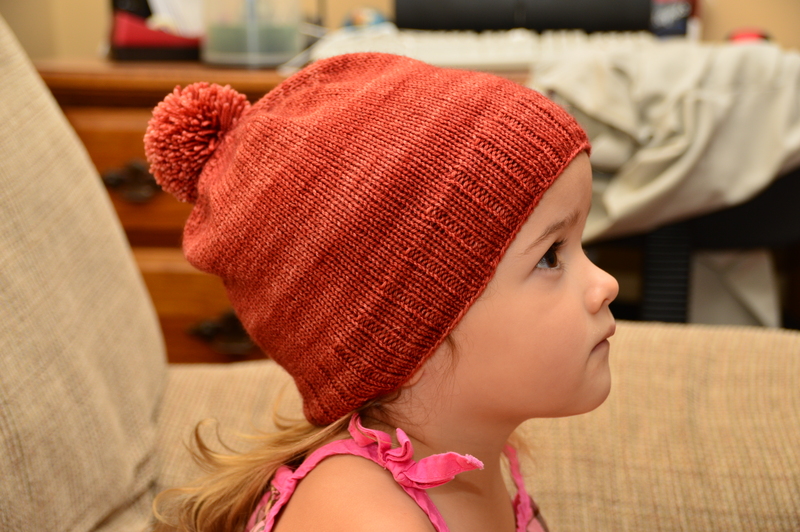 I modified the pattern a bit since Eva is exiting toddlerhood, and I wanted to make sure the hat was big enough. 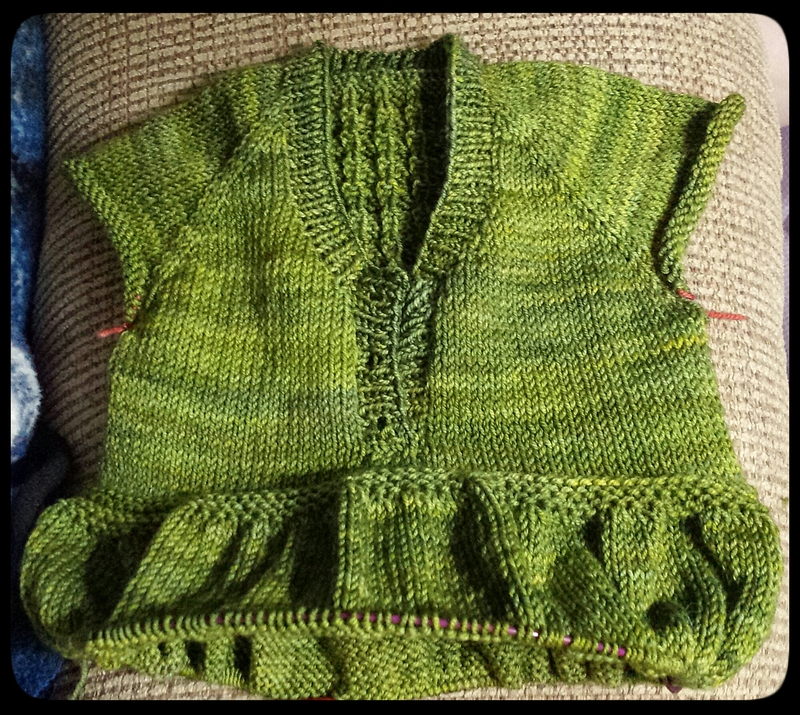 I guess I succeeded because it’s got just the right amount of slouch. I think it would be super cute to make Kirsi a matching hat with the leftover yarn from Eva’s Christmas dress (whenever I finish it). Do I have the time and the will to make another? 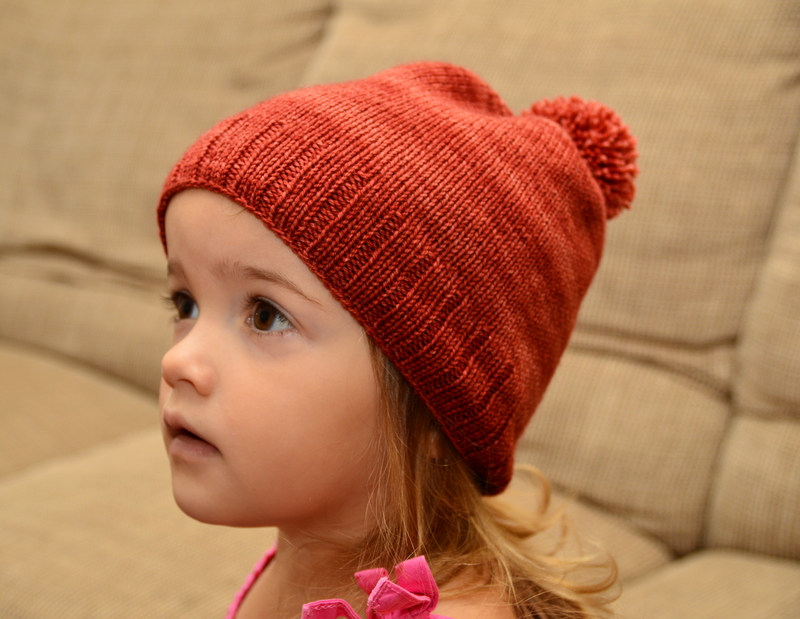 Categories: Knit | Tags: handmade, hat, knit, knitting, merino, pom pom, red, toddler | Permalink.